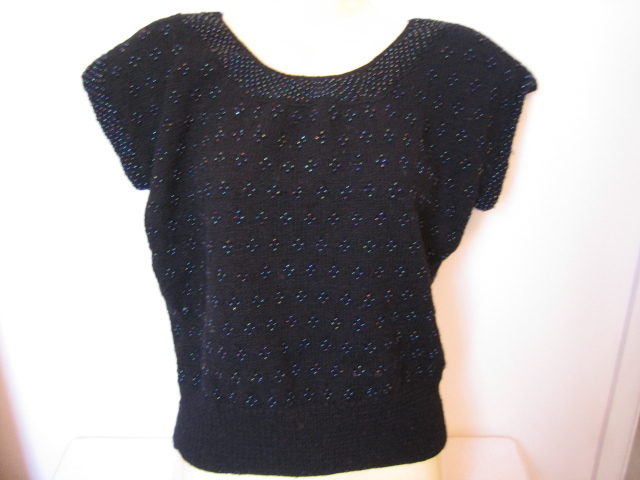 Vintage 1950s hand-made beaded black top. 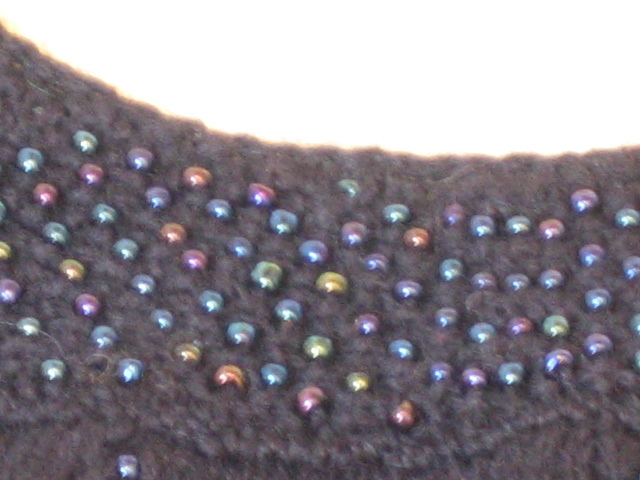 This is a lovingly hand-knitted and beaded top, perfect for everyday or evening wear! 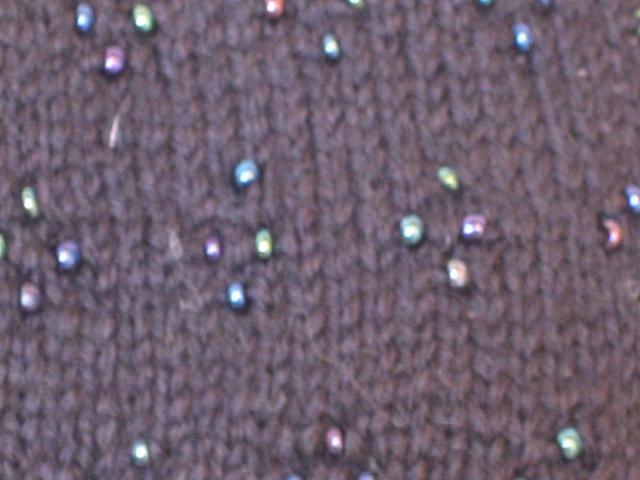 It's tightly-kniited from a thick wool on small needles, so quite dense, with little irridescent beads in groups of four scattered regularly all over (back as well as front). 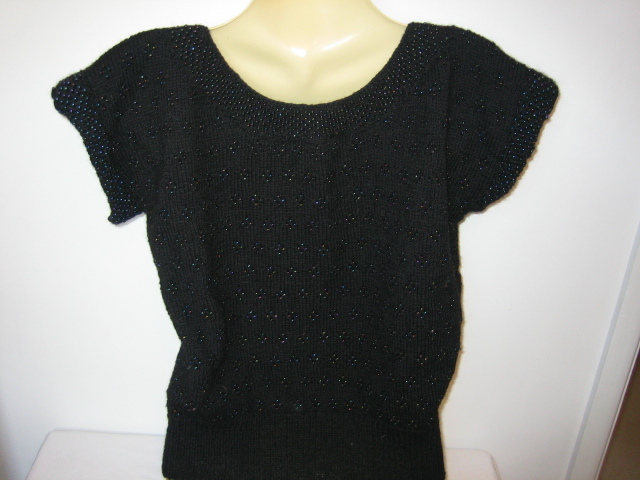 It has a deep, ribbed waist band, little sleeves and round neck (slightly lower at the front than the back), with closer beading on these last two. It's perfect for those in-between days, or for chilly evenings when you want to look slightly smarter! 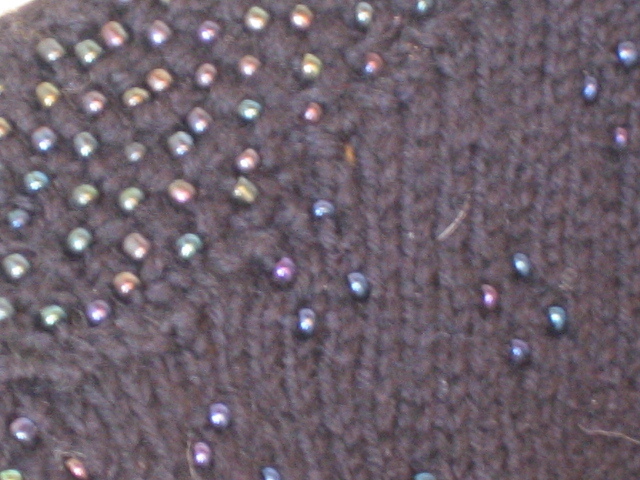 Best fit, a modern size 12 or thereabouts - it measures 39 ins/99cms at the bust, 17 ins/43 cms in length from back of neck (but of course, there is some stretch to the fabric). It's in absolutley perfect condtion!